July 25th Doors open 7pm. Event starts at 7.30 pm and ends at 9.30pm. 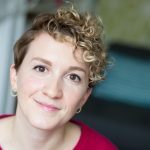 Bristol author Emily Koch will talk about what she has learned in researching her own novels, give you her top tips on researching for fiction, and also discuss how to avoid letting research become the ultimate procrastination enabler, and stop you actually writing the novel (sound familiar?!). 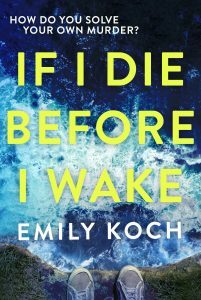 Emily is an award-winning journalist whose debut novel If I Die Before I Wake was described by The Guardian as “a debut to be reckoned with” and The Daily Mail as “exhilarating”. It is a psychological mystery told from the perspective of a young man with locked-in syndrome, who discovers that the accident which put him in hospital was no such thing – someone tried to kill him. You may remember her reading an extract at Novel Nights in 2016, before she had a publishing deal. She wrote a first draft of the novel, published by Penguin Random House imprint Harvill Secker, while doing the Creative Writing MA at Bath Spa University. 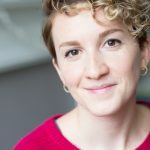 Emily lives in Bristol and is currently working on her second novel.